After three days of deliberation, a San Luis Obispo County jury was unable to arrive at a unanimous agreement on whether or not a firefighter is guilty of felony assault and the judge declared a mistrial. Eight jurors believed John Ryan Mason was innocent while four felt he was guilty of violently assaulting Jory Brigham in 2011 in a bathroom at Pappy McGregor’s. Brigham suffered 17 facial fractures while Mason was uninjured during the encounter. Following the Thursday verdict, the well-dressed San Luis Obispo firefighter and his family members hurried from the courthouse without talking to reporters. Members of the jury said they had come to an agreement not to share information about deliberations with the press. Mason’s attorney Chris Casciola pointed at several discrepancies between Brigham’s testimony and other witnesses as the primary reason the majority of the jurors were unable to come to a guilty verdict. While friends of Brigham said he had a flask of alcohol in his pocket, Brigham testified he did not. Deputy District Attorney Kristy Imel declined to comment on the trial or about possible plans to proceed again with prosecution. Both sides are slated to return to San Luis Obispo Superior Court Judge Michael Duffy’s courtroom on Oct. 18 to discuss a deal or whether the charges will be dropped. Juries are stupid. They are afraid of accepting the responsibility of convicting someone. blame your peers for their lack of guts. No surprise in our corrupt SLO Town but hey thank you for setting a Mason-Brigham precident for our sons and daughters. So in summary if a person (male or female) makes a rude remark or even gosh forbid, if the story holds water, shoves the other person, in our city that gives the other person the right to beat them to an inch of their life, give them permanent disabilities, leave the person for dead and there are no consequences and they walk away without a scratch on them. I am sure Mr. Mason wouldn’t agree if this were his family member. Hey why not pull out a gun and shoot them too? All of these years I have been preaching to my children to walk away from a situation when I should have told them to beat the wholly crap out of them and then walk away. No wonder our kids get so screwed up with mixed messages and abuse of power. That is an excellent responce to one of his buddies here. I just ordered my bumper stickers…..”Put John Ryan Mason in Prison”! What a farce of a trial. How does a local firefighter get on the jury of one of his buddies felony trial? Are you F’n kiddin’ me? I could recount the whole affair starting with the police not arresting him for 5 days and then the rest of the “Good ol’ Boy” bullcrap this county is so famous for…..and I’ll spare you all. Let’s put some preasure back on the DA to get the job done and get it done in a way that works. Do you have a distribution plan yet? LOL, I’m still waiting for the, “Who is Pedro Garcia” bumper stickers. If you would like to contribute to helping ensure internet searchers who are looking for information on John Ryan Mason can find the information about his violent past, in your posts, at least once, give his full name: “John Ryan Mason.” Thanks. 1. One of the many important issues the prosecution failed to mention, or emphasize due to its severity, includes the failure to mention the likelihood of Jory Brigham sustaining a head injury. Referencing the quote, above, during the trial there was little, if any, mention of the fact that someone who had sustained 17 fractures to the face while lying on a hard-surface flooring (requiring SEVEN steel plates and a heap load of wires and screws to affix in place) would have a head/brain injury. In addition, he very likely has some level of post-traumatic stress disorder (PTSD). Both the brain/head injury and PTSD would cause difficulties with long- and short-term memory, and other higher levels of brain function. This would make it very likely that there would be inconsistencies over time, as the brain worked to repair itself and to compensate for the stress reactions brought on by PTSD. But the DA’s prosecutor, Kristy Imel, did not feel this was worth emphasizing. So eight of the jury members walked away from the jury table believing Jory Brigham is a liar when, in fact, he is simply suffering the effects of his vicious beating by John Ryan Mason, a SLOCity paramedic and martial-arts devotee. 2. In addition to the significance of John Ryan Mason using elbow strikes not being emphasized in the trial, or explained by prosecution, nor was the significance of the added lethality of any blows or strikes when the victim’s head is against a hard floor brought up in the trial, there is no mention of the fact that many martial arts tournaments now ban elbow strikes because of the likelihood of injury to the recipient of the strike. The fact that many martial-arts tournaments ban the very tactic Mason used on Jory Brigham speaks to the dangers of the tactic. Mason knew this, and made his choice of attack tactic based on that knowledge. He knew it was the potential consequences of elbow strikes, yet use that tactic, anyway. This speaks directly to Mason’s intent, and should have been made a big, fat issue in the trial. VIOLENCE WARNING: DON’T CLICK ON THIS LINK IF YOU DON’T WANT TO SEE A VIOLENT FIGHTING MATCH. Here is a link (tinyurl.com/976gw5q) to a series of knock-out elbow strikes thrown in several Thai fighting matches. Each knock-out is shown twice: once at full speed, followed by once at a speed normal people can follow. NOTE THAT FOR ANY OF THESE VIDEOS, TO CATCH THE KNOCK-OUT ELBOW STRIKES, JUST SCAN AHEAD TO NEAR THE END OF THE VIDEO. Apparently the DA’s prosecuting attorney is not very well acquainted with the nature and controversies about elbow strikes, or does know but doesn’t see the significance of Mason choosing that specific tactic to beat-down Jory Brigham. Information about lacerations occurring from elbow strikes (one of the reasons they are banned by many martial arts tournaments) can be easily found, but the far worse results of elbow strikes, especially the less savory ones, aren’t discussed in newspapers. The martial-arts industry is dependent on the good will of the people because, should enough people become concerned about what goes on in these fighting matches, it can bring pressure on the relative freedom the martial-arts industry has had in the amount of violence that is associated with these matches. For instance, you don’t hear much about an elbow strike taking off an opponent’s ear during a martial-arts fighting match. It is pure prosecutorial negligence to not have emphasized the damage elbow strikes can do, the fact that Mason repeatedly did multiple elbow strikes on Jory Brigham’s head, and emphasize John Ryan Mason’s long history of MMA training. There are multiple types of elbow strikes, and elbow strikes are often combined with other techniques. A quick, NONVIOLENT, INSTRUCTIONAL video can be found at http://tinyurl.com/8jv439r, on about page 102, as well as a list of the different types of elbow strikes. The demonstrator is performing these elbow strikes on a dummy. Elbow strikes, even in close quarters, involve the added torque force of the twisting (“wind-up and release”), of the upper-torso musculature. The most lethal strikes include an elbow strike delivered from a standing position, dropping down to the ground at the same time he does the elbow strike. Mason delivered multiple elbow strikes. The following link goes to a video of a fighting match where this tactic was used, which occurs towards the end of the video. 3. The prosecutor failed to emphasize/mention the significance of the fact that, for much of the attack by Mason, Jory Brigham was lying on a hard-surfaced floor, face up. Normally, a victim’s autonomic response to threat will see and react to an incoming blow to the face/head, and attempt to flinch away, out of range. If the victim’s movement is not restricted by a solid surface behind him, he will automatically react by flinching away from the incoming strike which, hopefully, will help decrease the amount of injuries the victim incurs from the elbow strike. However, if his movement is restrained—such as would be the case if he was lying on the floor–all of the force of the elbow strike(s) will be transferred to the target site, the head and face. In addition, since the head cannot move away from the incoming strike, the force of the multiple elbow strikes will be transferred to the brain.. Therefore, all of the force of the elbow strikes will be transferred to the face, cranium and brain. If this occurs, there is more of a chance for brain injury because of the brain sloshing around in the cranium, and there is more of a chance that the facial injuries will be more severe than if his head was not restrained. 4. Clearly, John Ryan Mason, with his history of MMA training and fighting, and additional paramedic knowledge, knows of the damage that can be done by elbow strikes, including elbow strikes on a victim who is lying on a floor or other solid material. He also must know that brain injuries can occur from such strikes, and that elbow strikes from a standing-dropping position are considered the most lethal of elbow strikes. Why wasn’t this emphasized in the trial? Since Mason knows about the possible effects of his actions, that he used this possibly lethal blow, repeatedly, on Brigham’s head and face speaks to Mason’s intent. How could such an important key to the prosecution be overlooked by the prosecutor? 5. Mason, after delivering the potentially multiple, potentially lethal elbow strikes to Brigham’s head and face, instead of trying to give aid to his obviously injured victim, Mason ran away to try to escape legal punishment for his actions. Despite having the knowledge and experience which would indicate to Mason that Brigham was in serious medical danger, Mason (a SLOCity paramedic) delivered multiple potentially-lethal elbow strikes to Jory Brigham, and then ran away in an attempt to escape being arrested for his assault. The implication of this is obvious, and it speaks to Mason’s intent: to murder Brigham. 6.Mason’s violent assault on Brigham produced additional memory-impairing injuries in Brigham It wasn’t just the elbow-strikes beat-down, brain injury and PTSD that could contribute to Brigham’s difficulties with memory. As a consequence of Brigham’s attack, the surgery and anesthesia required for the multi-procedure repair of the injuries inflicted on Brigham by Mason would also be expected to have lasting, subtle effects on Jory Brigham’s cognitive abilities. As time passed following the attack, Jory’s ability to recall the specifics of events and the attack could have been impaired. This is not unusual in brain injuries and PTSD. Certainly, there might have been impaired recall of the specifics of events, including the attack by John Ryan Mason. Finally, Jory Brigham is likely to have acquired PTSD as a result of Mason’s beat-down, the surgery and anesthesia to repair the injuries, and other medical treatments. In addition, the memories may have been repressed and/or “remodeled” by the brain over time in an attempt to deal with the significant burden of injuries the brain had to process and heal. 6. Brigham was likely on pain medication for an extended period of time following the violent assault by Mason. Pain medication, especially opiates and muscle relaxants, can have detrimental impact on a patient’s memory and other higher-level brain functions. That Brigham had problems consistently remembering the assault by Mason is not surprising at all. Why wasn’t this emphasized to the jury? Anyone who has been on pain medication for any length of time would recognize the potential for this to occur. 7. Mason’s attack was an attempt to murder Jory Brigham. Since Mason’s MMA training certainly made him familiar with the type of damage that can occur with the type of blows Mason chose to viciously assault Brigham, it is clear that Mason CHOSE use possibly lethal blows to Brigham. Then Mason ran away from the scene of his crime, without rendering any treatment to Brigham, or even alerting another paramedic (or anyone else) that someone was seriously injured and lying on the men’s room floor at Pappy McGregor’s. Mason, a paramedic, left the man he had just severely beaten lying injured, bleeding, and lying on a bathroom floor. SUMMARY: Because of his MMA training and experience, Mason knew the attack he made on Brigham would possibly be lethal (and certainly would leave significant, life-changing injuries). Mason, once he induced those potentially life-threatening injuries to Brigham, CHOSE to run away in attempt to save himself from being arrested. Combine those two, and it shows clear intent to murder. It was Mason’s intention to lethally injure Brigham, and for that he should have been charged with attempted murder. The question needing answered by the District Attorney’s office is how they could have allowed the prosecutor to so thoroughly botch the prosecution of John Ryan Mason. Gosh Mary you always have a lot to say. Good, but a lot! I would sum it up this way. 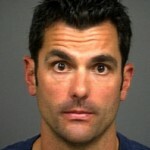 SLO PD never wanted to arrest him and the SLO DA never wanted to prosecute him. Focus on my opinions, not on me. Really? Your opinions are just crazy delusions. You need to get a hobby. OK here we go. This will never go back to court with a 8-4 vote to acquit. Now what does the Fire Department do? I would hope that they do not want to have this lunatic back. So what recourse do they have? If they follow their tradition, there will be a settlement that he has mentally suffered from being a fireman which will result in a cash payoff along with full retirement benefits. Let’s sit back and see how Katie and Jan handle this one with our tax money. SLOCity management is already on the ropes, and under pressure from its employees. It has had to hire extra people to decrease the stress on its workers–but the real reason the workers are stressed has more to do with the horrible management of the city than the work load. Public pressure can accomplish a lot. It brought Mason to trial. It can bring him back to trial, and not in SLO County. Didn’t you read that the city management doesn’t terminate employees for making mistakes. Rather they feel that making a mistake makes you a better employee because you learn from your mistakes. If you tell them that the public’s lawnmower is worth $150.00 and you take it to a scrap yard and leave it on your truck while you sell it to them on behalf of the city for $150.00 and then you pay $275.00 to buy it back and then you take it home and sell it for $3,000. Well that is a mistake that you learned from. If you make lots of mistakes and then wrap it up by calling your co-workers assholes and telling them to GFY…… Well that will get you a promotion as you certainly must have learned a lot after completing your anger management classes and then making another mistake like that. Mason is going back to work for another FD after he cashes out in SLO. We all work for the local gov, they don’t work for us. That’s another mistake that they cash in on, the problem is that the cash out is for OUR MISTAKE. Take back your gov, educate yourselves, recognize the white washing and read the ” many truths” that the Tribune won’t print. Then GO VOTE. I agree with everything except for the last sentence. Are you aware that SLO County uses Diebold voting machines and software? Interesting, at the website for the D.A., there are no links to email anyone about anything, just the phone number.